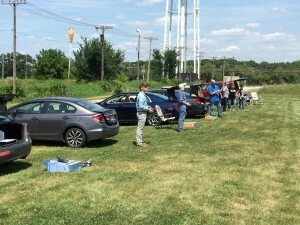 Argonne Radio Control Model Aircraft Club Information. 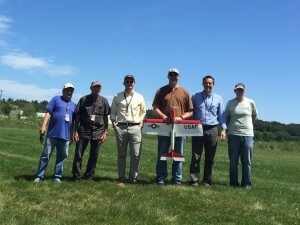 The ANL Radio Control Model Aircraft Club was officially formed in 1996. It is a part of an affiliated Argonne Club. 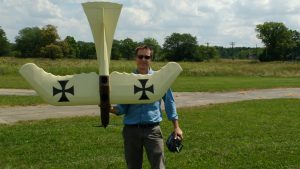 The RC Model Aircraft club was formed by a group of employees interested in flying RC aircraft. Through the generosity of Argonne, an on-site area has been set aside for flying. The area is identified on the site map at the bottom of this page. Any active or retired employees and their immediate family can join. However, flyers must have either Academy of Model Aeronautics or Sport Flyers Association private insurance to use the flying site, and be an active (paid) member of the club. Forms for this insurance can be found in most of the magazines devoted to RC modeling. The club welcomes anyone interested in RC aircraft. A number of members with an interest, but no prior experience, have built and flown their models with the help of the more experienced members. Current members have a broad range of time in the hobby, ranging from from over twenty years to minutes. The types of aircraft that we fly cover just as broad a range, from 1/4 scale to tiny hand-launched gliders. Most of the club members are fair weather flyers; they fly when the weather is over 60 degrees. The most common time to see people flying or at least at the field is during the work week, at lunch time, between 11:30 AM and 1:00 PM. There is also some flying on weekends. There are no formal, regularly held club meetings. Meetings are called when needed. During the cold season, informal lunch meetings are held in the cafeteria every few weeks to help get us through the flyers’ hibernation season. Many members prefer to build during the cold season and fly during the summer. Thus, their latest finished creation or “work-in-progress” is often exhibited at these informal sessions. The flying season begins around mid-April and winds down by around the end of October. 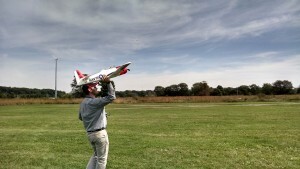 Flying model aircraft is not new to Argonne. The history of RC flying extends back over 30 years. Where the current 60,000 sq ft flying site is located? Time to pay your Club Dues for 2019!